This is the last of our beginners courses for the year so if you've thought about getting involved with boxing or boxing fitness, now's the time! The course runs over 8 weeks, every Tuesday at 7.30pm starting on September 15th 2015. You will learn the basics of boxing, how to move around the ring, throw punches at a target and defend against punches. You do not have to have to be fit to attend this course, nor do you have to have any previous experience. It's suitable for people who are looking to get into the sport of amateur boxing as well as those who want to learn the basics so they can attend fitness classes at a boxing club. 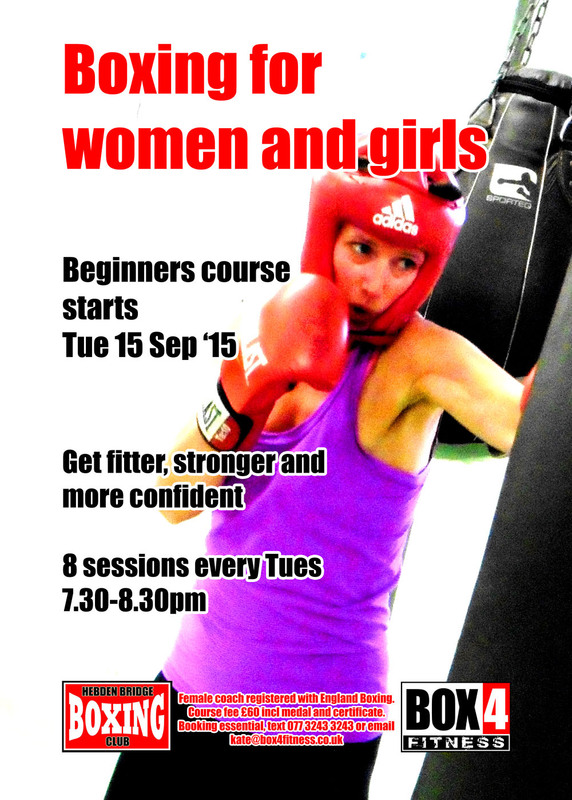 It's an all-female course, run by a female Coach, registered with England Boxing. Open to girls from 11 years old. Boxing is a great form of exercise for anyone battling depression, anxiety or confidence issues. It's hard to beat when it comes to stress busting and can be very empowering for women and girls. Course fee is £60 (£30 deposit) for 8 weeks including medal and certificate. We will loan you gloves if you do not have your own.